An Israeli teenager who killed a Palestinian from east Jerusalem in a racially-motivated attack last year has been sentenced to eight years in jail. 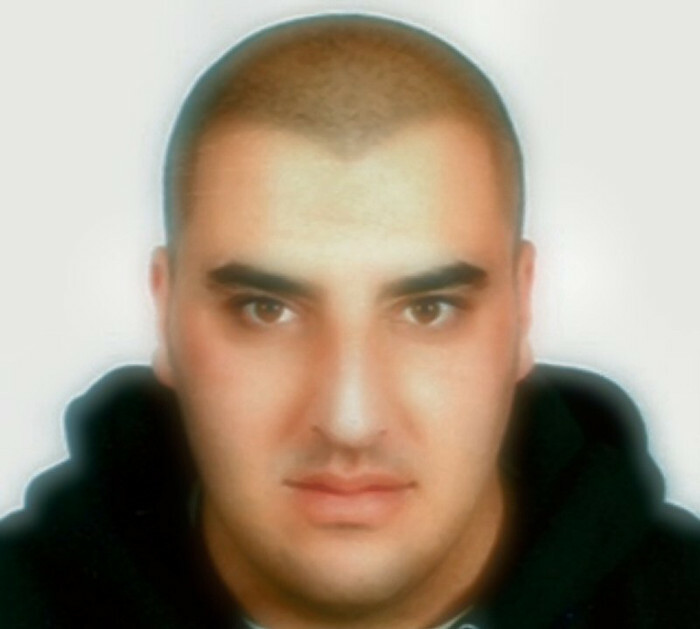 In February 2011, 24-year-old Hossam Al Ruweidi was killed during an attack in central Jerusalem by four Jewish youths. On Thursday, one of the youths, who was 16 at the time of the attack, was convicted of manslaughter as part of a plea bargain in a Jerusalem juvenile court, court documents showed. 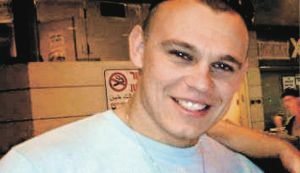 “Though the defendant did not hear the content of the shouts... when he saw (his friend) hitting the two, he joined the fight, and at a certain point pulled a straight razor our of his pocket and attacked the deceased with it, causing a deep cut to his face,” Justice Zvi Segal said. The Jerusalem Magistrate's Court Monday convicted two Israeli police officers of “negligent homicide” and sentenced them for two-and-a-half years in prison for abandoning and leaving an injured Palestinian to die on the side of the road, according to Israeli media reports. Reports said that the two Israeli officers, Baruch Peretz and Asaf Yakutieli, left Omar Abu Jiryan, a resident of Gaza, on the side of the road near Qalandia army checkpoint, north of Jerusalem, without food or water, despite his critical condition. He was found dead the next day due to severe dehydration. 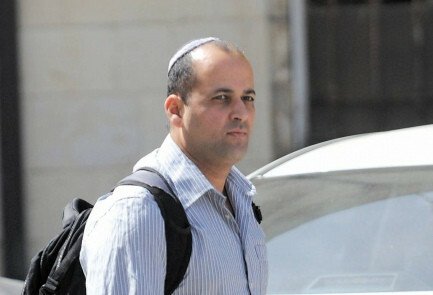 Abu Jiryan was getting treatment at an Israeli hospital after being injured in a car accident following a police chase. However, the two officers removed him from his sickbed and took him to the West Bank despite his critical condition. Instead of handing him over to Palestinian medical crew, the officers left him on the side of the road with an IV still sticking in his body where he died of dehydration. The judge described the officers’ actions as “nauseating, unethical and unspeakable,” yet they were given a light sentence in spite of the fact that Abu Jiryan was abandoned in an area where he was not able to contact anyone. The family of the deceased filed a civil suit against the Israeli police demanding compensation for the death of their son. AG halts probe into Rabbi Eliyahu's alleged anti-Arab comments due to lack of evidence. 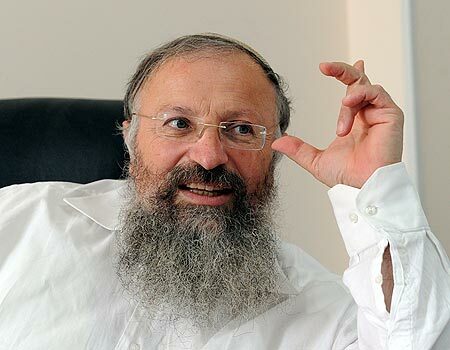 Attorney General Yehuda Weinstein has decided to dismiss the case against Safed Rabbi Shmuel Eliyahu, who was being investigated over some inciting remarks that were attributed to him in the media. Last November, the attorney general had ordered a probe into the rabbi on suspicion of incitement to racism after he allegedly told reporters that the Arab culture is cruel and is predisposed towards violence and theft. The comments were purportedly said in support of an edict issued by Eliyahu and 50 other rabbis, warning followers against renting or selling homes to anyone who isn't Jewish. Weinstein decided to throw out the case at the request of the State Prosecutor's Office after investigators found no evidence that the quotes "correctly reflected the statements that were actually made." Among other leads, the investigators probed the journalists who quoted Eliyahu; none had recorded his speech. According to the statement, some reporters admitted that they could have tweaked the content. 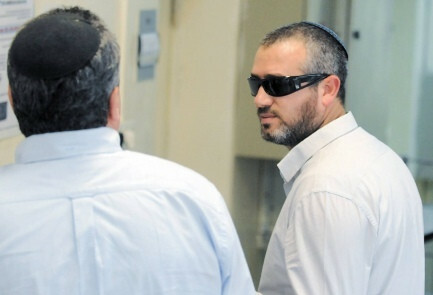 The prosecution therefore could not rule out the possibility of a discrepancy that could have occurred between Eliyahu's actual remarks and they way they were quoted. Weinstein also noted that Eliyahu and the other rabbis responsible for the real estate-related ban released a statement claiming that their decree was not meant to come off as discriminatory against non-Jews. "The State of Israel is obligated to treat all its citizens equally," the rabbis' statement read. "This approach is based in the Torah and the law." Attorney Aviad Hacohen, who represents Eliyahu, told Ynet that the attorney general's decision "echoes our stance that a conflict of opinions, no matter how extreme, should not be handled by the criminal system." An Israeli military court imposed fines on Palestinian prisoners to compensate Jewish settlers it claimed were hurt by the Palestinians, Minister of Prisoners Issa Qaraqi said on Friday. He said the military court started for the first time and in obvious violation of international law and conventions to force Palestinians held on charges of attacking settlers to pay fines to compensate the settlers for whatever harm was caused to them. If the prisoners or their families refuse to pay the fine, said Qaraqi, the prisoners will spend more time in prison over their term. “This is a new policy aimed at empowering the settlers to continue with their attacks against the Palestinians instead of arresting them,” he said. Families of prisoners from the village of Azzoun in the Qalqilia area told Qaraqi that their sons who were recently sentenced by an Israeli military court were ordered to pay heavy fines in addition to long prison terms after they were found guilty of throwing rocks at settlers who attacked their village. 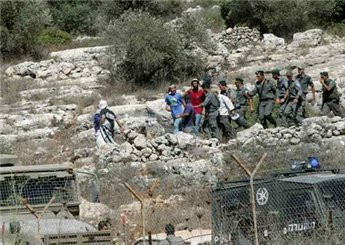 One prisoner was ordered to pay more than $1500 and was sentenced to 12 years in prison, while six others received between five and nine years prison sentences and fined around $1500 each in what observers thought were extremely heavy sentences and fines against youth who tried to stop settlers from attacking their village and destroying its property and crops. Israel's state prosecutor Yehuda Weinstein on Wednesday decided not to press charges against two Israeli border policemen who killed a Palestinian in 2010. The decision upholds Weinstein's predecessor's ruling, which determined there was insufficient evidence to press charges against Maxim Vinogradov or Shadi Khair el-Din. Ziad Jilani was killed on June 11, 2010. Jilani was driving in East Jerusalem when a stone hit his car. He swerved into an adjacent alley, where ten Israeli police officers were standing, lightly injuring three of them. The police opened fire, and Jilani ran into a nearby alley where his uncle lived. Khair al-Din fired the first shot in Jilani's back, after which he fell to the ground. Vinogradov then shot Jilani in the head at close range. Vinogradov says he saw Jilani move his hand and thought Jilani might have had a bomb or weapon. Vinogradov says he shot Jilani to "neutralize" a potential threat, although Jilani's body was not checked even after he was shot. Weinstein acknowledged Vinogradov's reasoning in his decision to not press charges. “We cannot rule out, beyond reasonable doubt, that one of the fighters (border policemen) really did believe in real time that the deceased, that moved his hand while he was lying wounded on the ground, was yet to be finally neutralized, and was still considered a danger" Weinstein said in a statemen. Jilani’s family say they are looking at next steps to pursue justice. 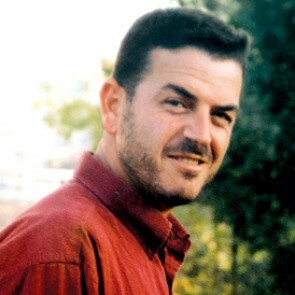 My beloved husband, Ziad Jilani, was executed by Israeli Border Policeman, Maxim Vinogradov on June 11, 2010. There is undeniable evidence that my husband was lying unarmed and wounded on the ground, posing no threat when Israeli Border Policeman Maxim Vinogradov shot him point blank in the head. soldier who killed him, exposed by the autopsy, the Israeli authorities have closed the case against Maxim Vinogradov and his commander Shadi Kheir Al-Din. The closing of the case against Ziad's killer is a clear message to Israeli soldiers: simply claim that you suspect a Palestinian is a terrorist and you will not be held accountable if you execute him or her. My daughters and I have appealed to the Israeli Supreme Court to demand Israel's state prosecutor bring criminal charges against Ziad's killer and his commander. We seek international support, not only to get justice for Ziad but also to save the lives of future potential victims by sending Israeli soldiers the message that they can be held accountable for killing innocent people. Twelve days before Maxim Vinogradov executed my husband, Israeli commandos had raided the Mavi Marmara, a Turkish ship carrying aid to Gaza, while in international waters, shooting dead nine of its passengers. On that day, Vinogradov responded to a Facebook post of his friend, Avi Yaacobov, which said in Hebrew "Exterminate Turkey and all the Arabs from the world." Vinogradov replied: " I am with you my brother and I with God's help will begin this." His friend replied, "And you, knock on wood, are capable of it." This is just one of many similar posts where Maxim expresses opinions calling for death to Arabs. Maxim is being supported in acting on his racist convictions by the impunity granted him by the Israeli authorities. Please sign this petition. We deserve justice. Despite recommendation to dismiss him, officer accused of beating soldiers moves up in ranks. An IDF officer reprimanded for beating his soldiers has been promoted recently to the role of a company commander, Ynet has learned. Last November, General (res.) Yitzhak Brick, the ombudsman charged with reviewing soldier's complaints, recommended to dismiss the deputy commander for allegedly using violence against soldiers belonging to a snipers unit within the Paratroopers Brigade. Two months before the recommendation was made, the soldiers deserted their base, claiming to have been abused by their commanders. They complained they were beaten and pelted with various objects. Brick noted that the events point to moral and operational failings. He urged the army to take measures against the unit's commanders. The officer was indeed removed from the deputy commander position, but instead of being discharged he was assigned to take the prestigious company commander course within weeks. In less than two months, he is to take charge of new recruits joining the Paratroopers Brigade's 890th battalion. The decision to promote him was approved by Brick, who is said to have examined the case closely. The newly-minted commander hails from an elite unit and is considered an excellent officer despite the abuse accusations. "He is an outstanding officer who held a number of positions and was punished for a specific case that is uncharacteristic of his military career," the IDF Spokesperson's Unit said. "Therefore there was nothing to prevent him from becoming a company commander." Border Guard forces raided the Ramat Migron outpost in the West Bank on Monday and arrested a young female settler who allegedly violated a closed military zone order and assaulted a police officer. The Honenu organization, which offers legal assistance to Israeli citizens, claimed the girl was arrested for no good reason. 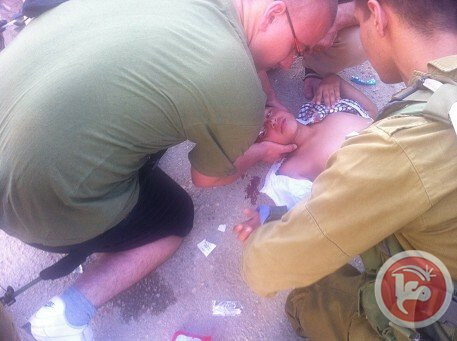 A young boy was injured on Sunday after being run over by a settler car in the Tel Rumeida neighborhood of Hebron, witnesses told Ma'an. 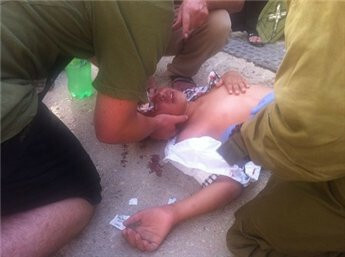 Mamoun al-Saheb, 9, was treated at the scene by Israeli soldiers, before being taken to hospital. Tel Rumeida lies in the Israeli-military controlled H2 zone of the southern West Bank city, after a 1997 agreement split Hebron into areas of Palestinian and Israeli control. The zone includes the ancient Old City, home of the revered Ibrahimi Mosque -- also split into a synagogue referred to as the Tomb of the Patriarchs. Around 800 Jewish settlers live in Hebron's Old City, among 30,000 Palestinians in the parts of the city that are under Israeli control.